Reliable & Affordable. The Way Advice Should Be. Based on your values and needs, we help you design your future. We work together with our clients, providing them with the necessary plan to succeed. By collaborating with clients, we provide them with easy-to-use technology and help them invest with minimal effort. 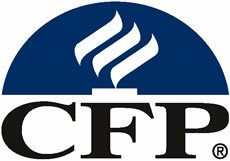 We specialize in providing planning and investment services for clients seeking financial freedom and security. "Financial Planning isn't just for the wealthy, but for those who want to get there." We succeed by providing reliable advice at an affordable cost. At Woodmark, our goal is to help our clients become more financially efficient, and help them live their lives with financial freedom. 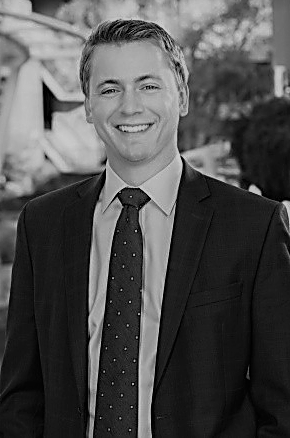 Daniel Milks is the Founder & CEO of Woodmark Wealth Management. A graduate of Clemson University where he earned his B.S. in Management with a minor in Financial Management, he began his career in the wealth management industry in 2014. Daniel went through the rigorous training to become a Certified Financial Planner™, and shortly after founded Woodmark. As a Greenville native, Daniel is heavily involved in the community. He loves spending time with family and friends, and he has a passion for helping others. For individuals who want help getting started but don't qualify for the Professional plan. For those who want to keep their accounts elsewhere, but still consult a professional. Woodmark Wealth Management, LLC (Woodmark Wealth) is a registered investment adviser located in Greenville, SC. Woodmark Wealth may only transact business in those states in which it is registered, or qualifies for an exemption or exclusion from registration requirements. Woodmark Wealth’s web site is limited to the dissemination of general information pertaining to its advisory services, together with access to additional investment-related information, publications, and links. Accordingly, the publication of Woodmark Wealth’s web site on the Internet should not be construed by any consumer and/or prospective client as Woodmark Wealth's solicitation to affect, or attempt to effect transactions in securities, or the rendering of personalized investment advice for compensation, over the Internet. Any subsequent, direct communication by Woodmark Wealth with a prospective client shall be conducted by a representative that is either registered or qualifies for an exemption or exclusion from registration in the state where the prospective client resides. For information pertaining to the registration status of Woodmark Wealth, please contact the state securities regulators for those states in which Woodmark Wealth maintains a registration filing. A copy of Woodmark Wealth’s current written disclosure statement discussing Woodmark Wealth business operations, services, and fees is available at the SEC’s investment adviser public information website – www.adviserinfo.sec.gov or from Woodmark Wealth upon written request. Woodmark Wealth does not make any representations or warranties as to the accuracy, timeliness, suitability, completeness, or relevance of any information prepared by any unaffiliated third party, whether linked to Woodmark Wealth’s web site or incorporated herein, and takes no responsibility therefor. All such information is provided solely for convenience purposes only and all users thereof should be guided accordingly.